I set up this site in 2006 to share my enthusiasm for flowers and their pollinator partners. It is based on my personal experience as a gardener and amateur naturalist over many years. I explain how insects feed from flowers, and discuss flower shapes, so that you can identify insect-friendly flowers yourself. With this knowledge you will be able to attract pollinators to your garden through your planting choices. My approach is to recommend flowers that will attract a wide range of pollinators and support biological diversity in the garden, rather than focussing just on 'bee plants' which may be of limited use to pollinators apart from honey bees and the commoner types of bumblebees. 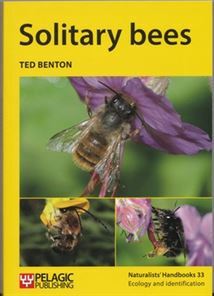 I also provide a series of downloadable factsheets with basic planting recommendations, and I provide information about how to build homes for solitary bees. Some of the web pages on this site can also be downloaded as pdfs. For those of you who wish to go into this subject more deeply I provide many recommendations for further reading, and links to other useful websites. Rest assured that when I recommend plants, I have actually grown them, or are very familar with them, and when I recommend books, I really have read them. It is my intention that my advice really works. This is an independent website and is not connected to any organisation or commercial business. I do not receive sponsorship or funding from any external source. I originally created this site in 2006. As a wildlife gardener I had gradually become more interested in the relationship between garden flowers and pollinating insects, and I wanted to give visitors to the website the best advice about what to plant. The information available at that time often seemed to be based on assumptions or anecdote rather than on scientifically based observation. I found that there was very little written about pollination biology that was aimed at ordinary gardeners like myself. I decided to learn as much as I could about the subject. This proved to be a steep learning curve and I am still learning! There is now much more information around about the relationship between flowers and insects, including recent science which is starting to provide a good evidence base. I try to reflect this in the information on this site. I took all the photographs on this site, either in our present garden or our previous one. I now live in Chepstow in Monmouthshire, which lies on the English border of South East Wales, close to the Bristol Channel. You can write to me via the Contact page. 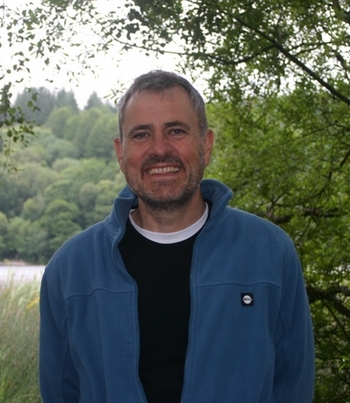 This website and its content is copyright of Marc Carlton. © Marc Carlton 2006-2016. All rights reserved. The terms 'Pollinator garden' and 'The Pollinator Garden' are registered trademarks, reference UK 00003132430.
you may print, or download to a local hard disk, extracts for your personal non-commercial use. you may copy the content to individual third parties for their personal use, or for non-commercial educational purposes, but only if you acknowledge this website as the source of the material, and Marc Carlton as the author. You may not, except with my express written permission, distribute, sell, or otherwise commercially exploit the content. Nor may you transmit it or store it in any other website or other form of electronic retrieval system, re-publish or copy in any magazine, journal, article or essay without permission. If in doubt, please contact me first. Last updated 4 April 2017. © Marc Carlton 2006 - 2017.